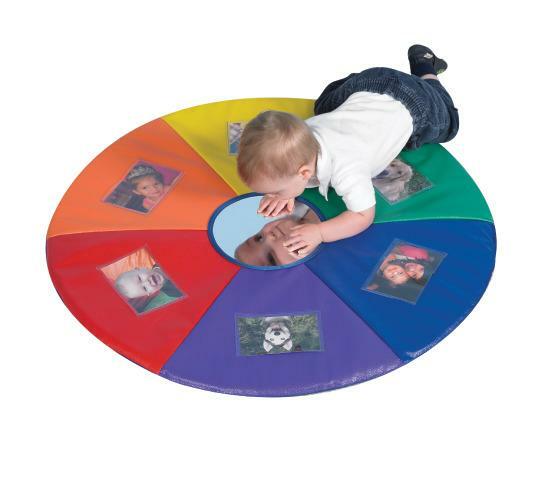 Rainbow-colored mat made of durable vinyl making it great for tummy time! Insert six pictures in the clear 4" x 6" pockets to add new interest. Center flexible mirror attracts inquisitive baby to look in and see me! Drop ships from manufacturer in 2-3 weeks.